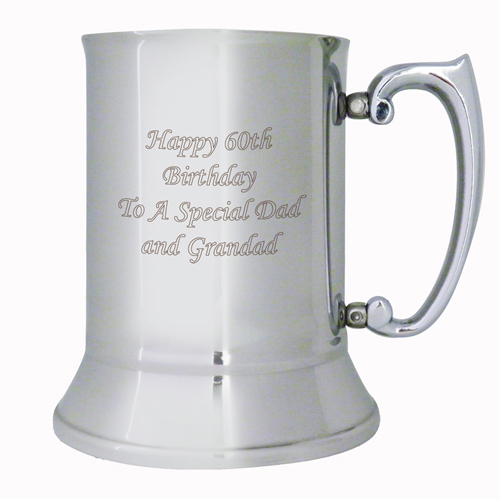 An alternative to pewter this stainless steel tankard makes the perfect personalised gift for any occasion. The tankard can be engraved with any message up to 4 lines, 20 characters per line. Tankard holds approx.500ml of liquid. Engraved with any message up to 4 lines, 20 characters per line.